with Khatia Buniatishvilli and Zubin Mehta. 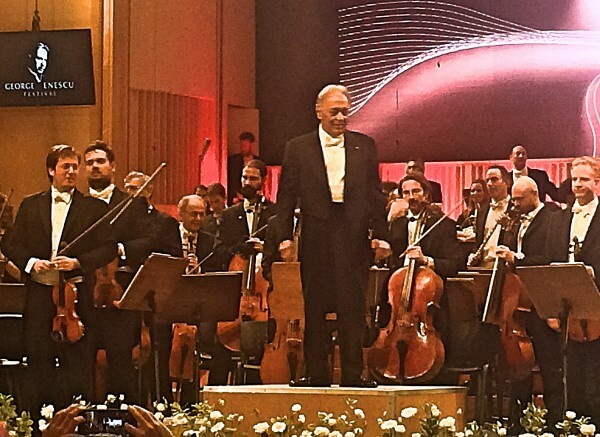 Zubin Mehta receiving ovations after his and Israel Philharmonic Orchestras successfully Sinfonia Domestica by Richard Strauss. 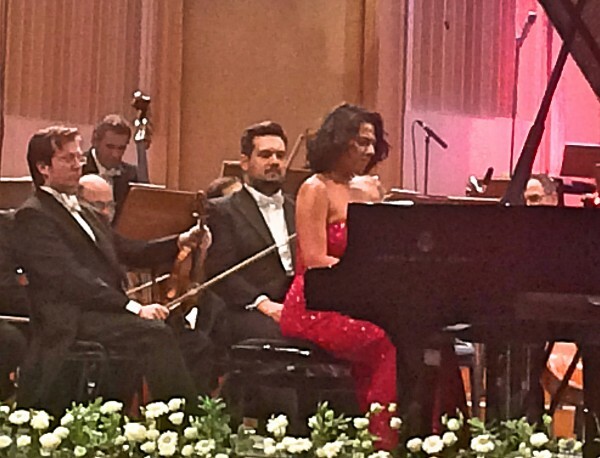 BUCHAREST/ROMANIA: My first meeting with the “so-called” star pianist Khatia Buniatishvilli, (Georgian ?) as solist in Robert Schumanns well known pianoconcerto. 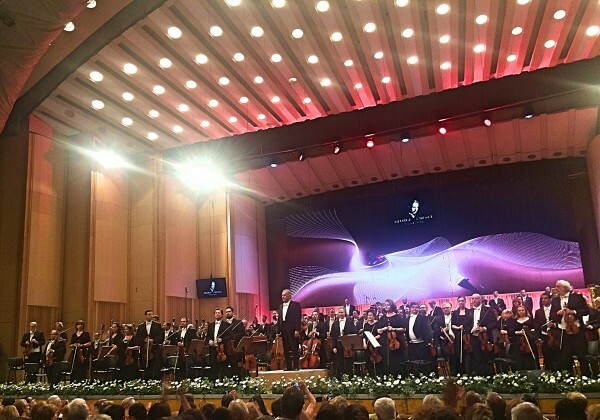 Together with Israel Philharmonic Festival led by Zubin Mehta, who is too the new president of the Enescu festival, became a strange rubato experience for me. No doubt that this pianist can be virtuose, but in what way of being virtuose? I prefer qualitative virtuosity, not as a feeling of “rushtrafic”, where it, in the fast parts, it sounds like it is most importent to reach to the end, than to present a good musicality line in the presentation. Specially during the first part i had the feeling that the slow piano parts were too slow.- like “looking after a parking place”, and then the fast parts became too fast, like in a “rush trafic”. Adagio and virtuosity are good qualities. However first class musicality, and musicians, shall keep it all together. That was not the experience i got during this Robert Schumann presentation with Khatia Buniatishvilli and Zubin Mehta.. Furthermore the second of hers two encores Franz Liszt –well known Hungarian Rhapsody No.2 was a tasteless catastrophe. Where ms. Buniatishvilli forgot everything about the beautiful musical themas and the excentric raffinated syncopes in the czardas part, just rush rush rush. Extremely bad. At Youtube, – unfortunately, she played the same piece, where the start is OK, but also there in the end it is not good. . I am sure that Franz Liszt would have been turning around in his grave, if he have heard that. – Honestly i can’t recommend Khatia Buniatishvilli anywhere. Still that she looked wonderfull in her elegant red paillet dress. 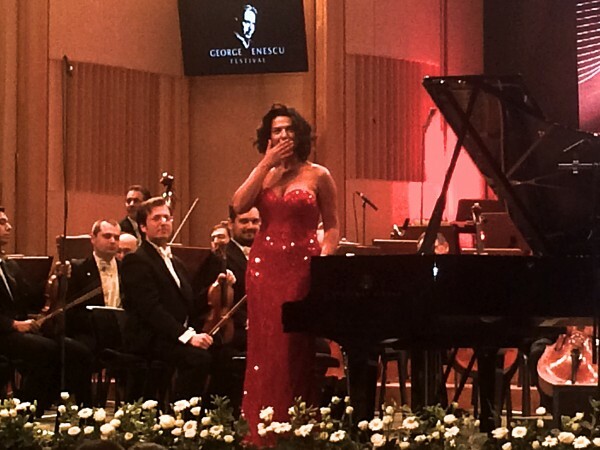 Khatia Buniatishvilli sending kissses to the audience. 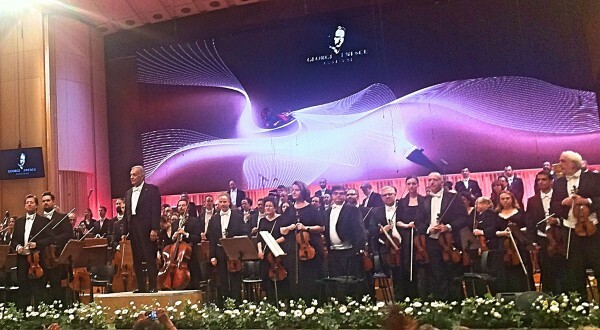 Behind Israel Philharmonic Orchestra. It seemed that mr Mehta let the pianosoloist run her own show, and didn’t try to lead her. Or perhaps he enjoyed it?, or had given up?. Well he is privilleged to enjoy it as he wants. – As i am, as international critic. Richard Strauss Sinfonia Domestica opus 53. After the break, – where many of the audience had left-. We got a high quality Richard Strauss presentation with musicality, good tempi, brilliant soloparts, where i specially enjoyed the deliciouse chamber music details from the 1.Violinist and the 1.Cello. And the xylophone tunes, horns, brass, wood. Excellent formed. As encore: “Another Strauss” a polka by another Strauss. – J. Strauss. The audience enjoyed it. After that, long ques in the entrance hall to get, autographes from Zubin Mehta and Khatia Buniatishvilli.